What are the side effects of permanent makeup? 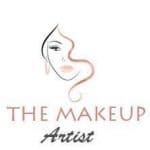 The Makeup Artist Default Asked on February 15, 2019 in Beauty & Style. What is Air Brush Makeup? Can permanent makeup be removed?